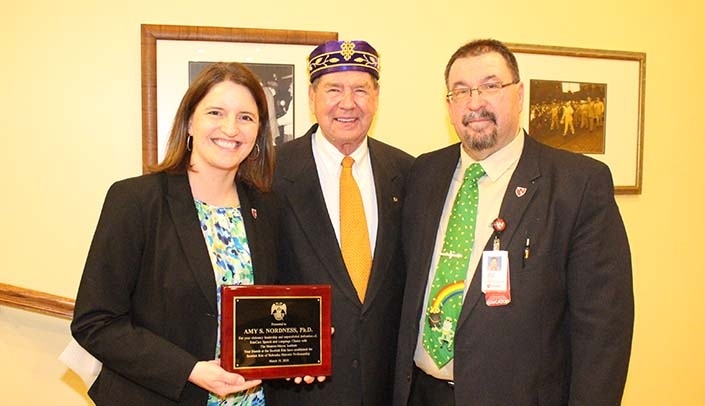 From left, Amy Nordness, Ph.D., Charles Sederstrom, Jr., and MMI Director Karoly Mirnics, M.D., Ph.D.
Scottish Rite provided more than $500,000 to endow the professorship. Mega thanks to the Scottish Rite Foundation. Their support of MMI over the years has been nothing short of incredible. They have truly made a difference!